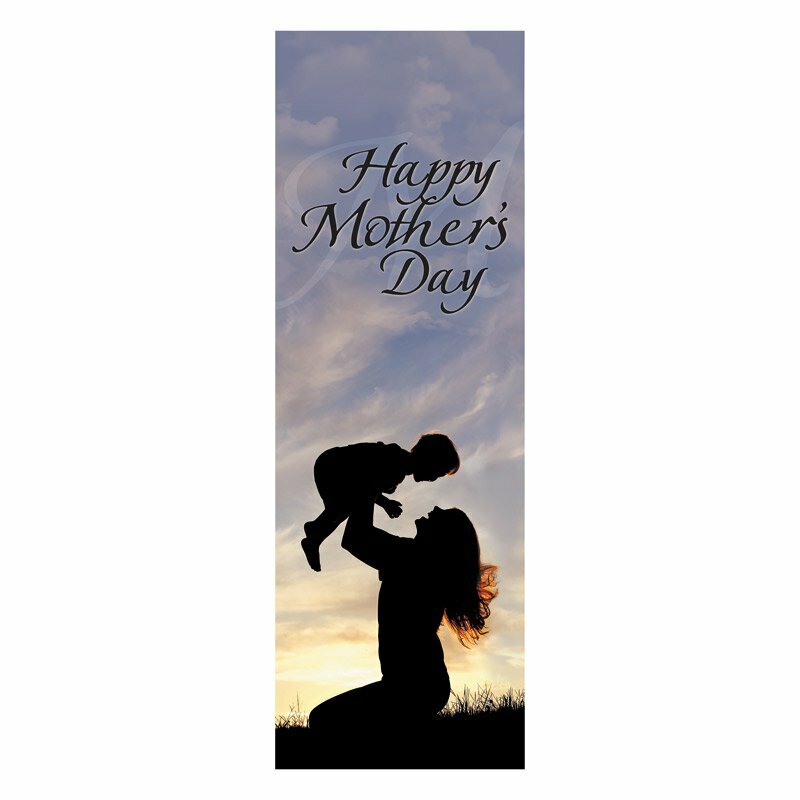 Our beautifully designed Mother's Day banner is available in a variety of size options to best suit the needs of your church. Features clear and vibrant images printed in high resolution with wrinkle-resistant, luxurious satin polyester fabric. Designed to display in a series or as stand-alone banners. Fits standard banner pole and accessories.